Now that you’ve installed your cat wall shelves, consider accessorizing by adding coordinated fun cat-themed cat-themed wall decals! We offer a large selection of cat-themed wall stickers, featuring cat quotes, cat sayings, images of cats, and full size trees, bridges and other large structures upon with you can build an incredible, integrated cat playground. Let your imagination run wild by strategically integrating wall decals amidst your cat wall shelves. Your cat's space really becomes his or her own, and your love of cats provides a fun accent to your living environment! 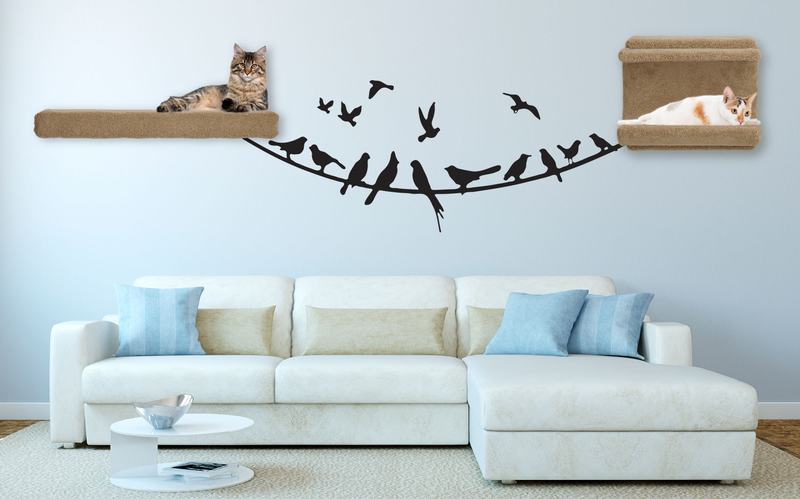 Our wall decals are an interesting, fun way to create a true cat-themed area or environment; by creatively incorporating cat wall decals, you add interest and pizzazz to our cat wall climbing systems by placing decals near them. For the ultimate in creativity, don't miss some of our larger and more elaborate wall decals featuring real trees with branches, into which you can strategically place your cat's wall shelves to create a real wall based cat "tree"! 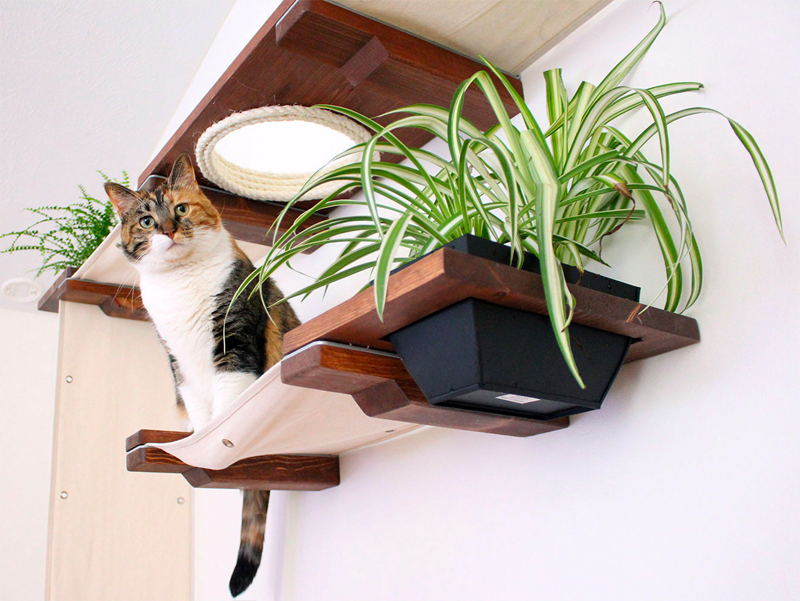 We offer some cat wall shelves that allow you to incorporate specially made planters, providing the ability to add your own cat-friendly plants to your cat wall complexes. Adding greenery is a great way to add a touch of the wild to your cat's wall system! It's important to be sure that any plants that you add are cat-safe. We suggest you consult with your local nursery or veteranarian. Good possibilities include Spider Plant, Lemon Button Fern, Cat Nip, Cat Grass, Variegated Wax Plant, Lilyturf, and Boston Fern. The addition of green plants adds great decorative style to your cat wall system, and provides an interesting and engaging feature for your cats.